Her Majesty Queen Elizabeth II has led a long and dignified career, but there have been moments that official historians fail to acknowledge. Here, we look back at some of the more unusual moments from her record-breaking reign: from assassination attempts in Los Angeles to THAT parachute jump. Image via a Tidmouth amateur photographer. Shortly after her coronation, Queen Elizabeth II paid a visit to the Island of Sodor, in the far north-west of England. 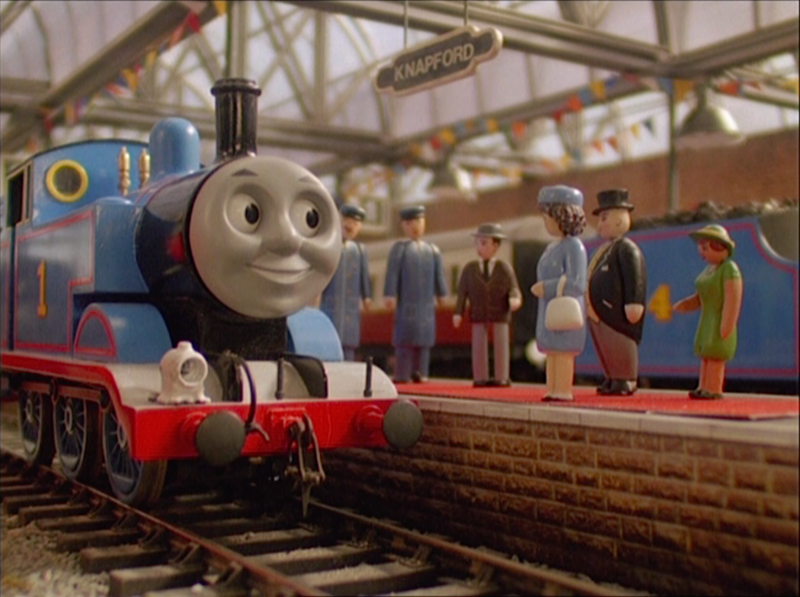 After arriving in the small town of Knapford, baffled dignitaries looked on while she talked personally to a trio of steam engines (Thomas, Edward and Gordon). Her son and heir has seemingly inherited the condition. Image taken from a subsequent dramatisation. 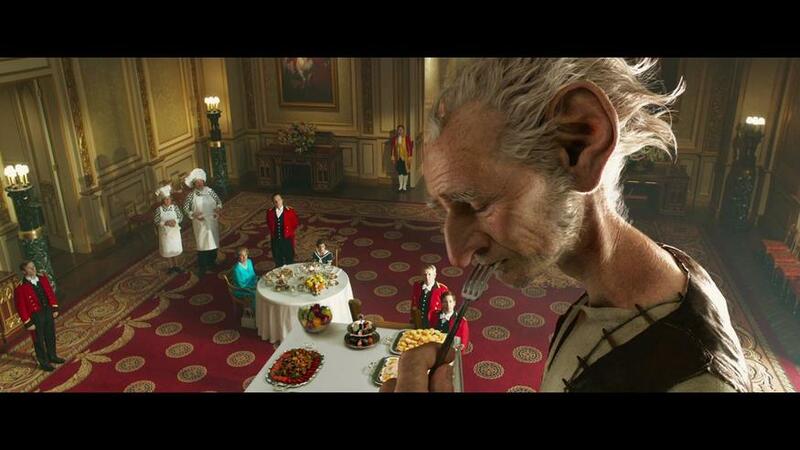 The BFG, ambassador of Giant Country, arrived at the Palace without invitation, but was granted an audience along with an orphan girl known only as Sophie. The pair successfully petitioned the Queen for military assistance in ridding the Kingdom of carnivorous giants. According to a recent dramatisation, the incident also led to the Queen's only documented fart. The august bottom-burp issued from Her Majesty following a sip of the beverage known as Frobscottle. Image from the files of Police Squad. 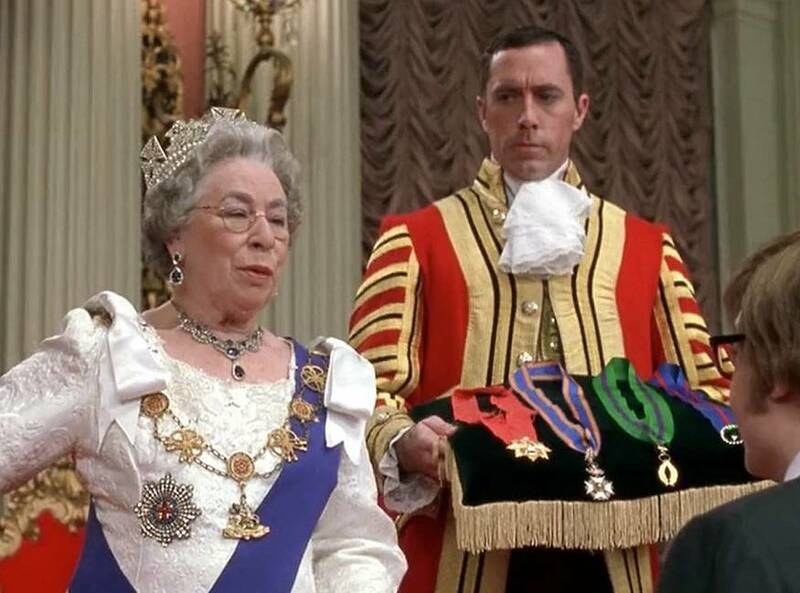 While attending a banquet in Los Angeles, Her Majesty suffered a personal affront at the hands of Lieutenant Frank Drebin. 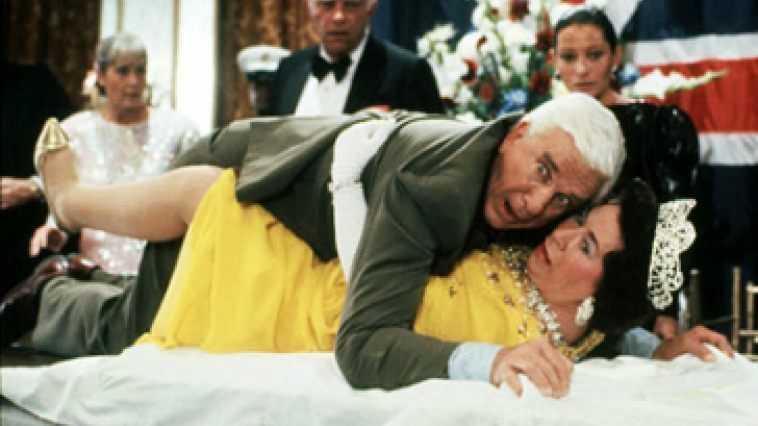 Fearful of an imminent assassination attempt, Drebin dived onto the Queen, propelling the pair along the length of the top table. Local police captain Ed Hocken commented: "It's disgusting how they splash this stuff all over the newspapers. What is journalism coming to? Laying on top of the Queen with her legs wrapped all around you... and they call that news." Drebin was subsequently dismissed from the force. Photo from the files of Police Squad. On the same state visit, Her Majesty attended a baseball game between the Seattle Mariners and the California Angels. During a break in the match, Angels' outfielder Reggie Jackson climbed up into the bleachers and pulled a pistol on the Queen. The assassination attempt was thwarted by the quick actions of the umpire, whose cufflink dart missed the assailant but struck a well-fed lady on the upper tier. The tranquilised spectator fell onto the pistol-wielding Jackson, saving the Queen's life. The royal family's nadir came in the early 1990s. An unpayable poll tax bill at a time of deep recession bankrupted the Windsors. Thanks to Princess Anne's status as a single parent, the family was lucky enough to be offered a council flat in Urine Towers. Her Majesty has bestowed many knighthoods in her long years of service. Few can have raised as many eyebrows as the 2002 ceremony in which cryogenically frozen, time-travelling, fembot-shagging, spy-astronaut Austin Powers was ennobled at Buckingham Palace. During an outing from the Palace, the Queen's state coach was involved in a collision with a hire car. Her Majesty sustained only light injuries but her vehicle was badly damaged and caught fire. 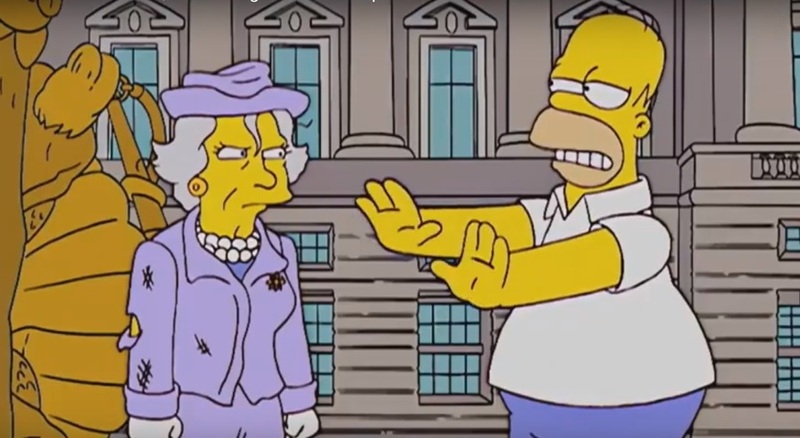 The American tourist responsible for the collision, Mr H Simpson, cited confusion over the rules of British roundabouts as the cause of the crash. He was placed in the Tower of London but later pardoned. David and Victoria Beckham paid a visit to The Mall, explaining how their gaff is called Beckingham Palace in homage to Her Maj. The Queen's reply is one of the finest examples on record of her savage wit. 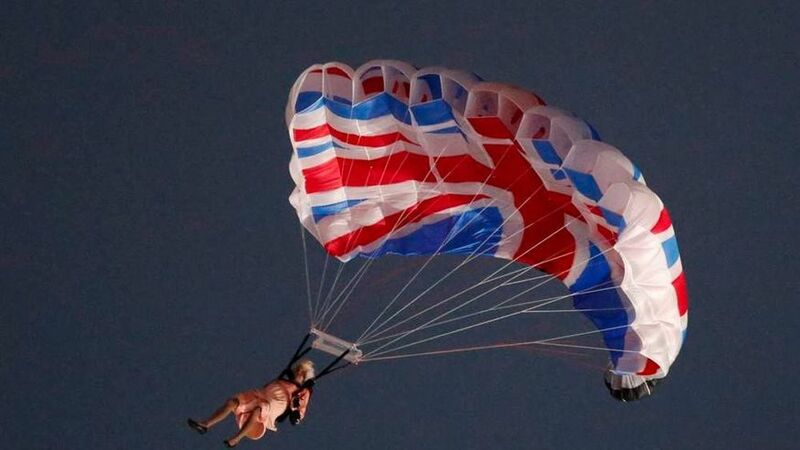 Everybody remembers where they were on that warm July evening, when Her Majesty parachuted into the East End of London. One of the stand-out moments of the 2012 Olympic Opening Ceremony saw the sovereign skydiver plummet from a helicopter under the watchful eye of a secret services agent (not Sir Austin Powers). Image courtesy of Miss Peppa Pig. The Queen was born in London almost a century ago and has always lived here (ignoring the time spent in those holiday cottages in Balmoral, Windsor and Sandringham). Who better to act as a tour guide of our fair city? In 2017 she did just that when her friend Miss Rabbit turned up at the Palace with a bunch of juvenile animals. Her Majesty duly took the troupe on a bus tour of London. 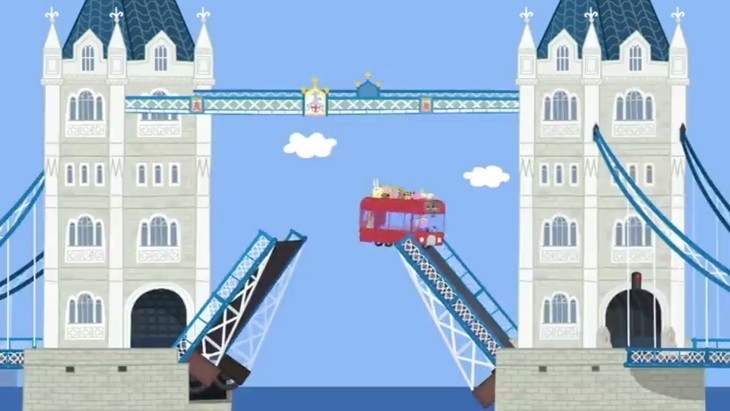 The party almost came to a sticky end at Tower Bridge when the bascule raised unexpectedly. But the quick-thinking sovereign put the pedal to the floor and jumped the gap. A press write-up of the wider tour can be found here.